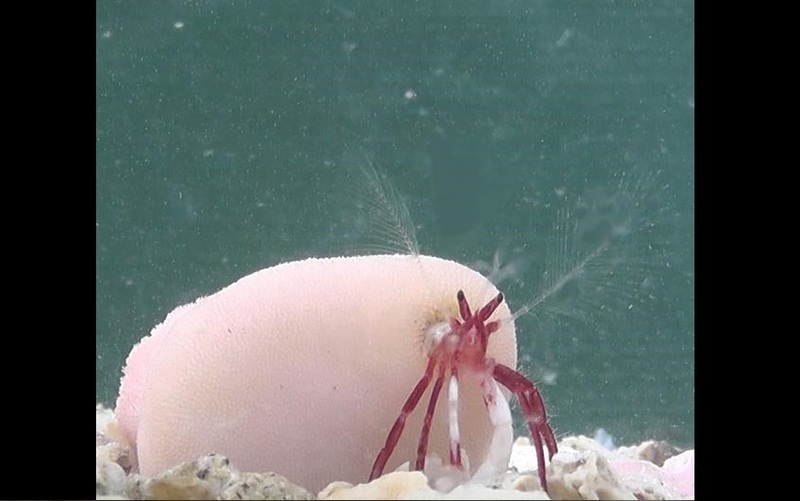 A newly discovered hermit crab has been found to have a unique relationship with a species of walking coral. Normally, these corals contain a small marine worm called a Sipuncula; the two creatures would co-exist in a symbiotic relationship. However, on this occasion, the coral contained not a worm but a hermit crab. Upon further investigation, it was discovered that this hermit crab has developed a unique relationship with the walking coral. It provides the coral with transport and prevents it from by buried by brushing away sediment. In exchange, the coral protects the hermit crab from potential predators with its stinging nematocysts. What’s more, the hermit crab does away with the need to find a new home as it grows in body size; the walking coral is able to grow along with it. Simply put, the coral is a home that lasts for its entire lifetime. Due to its symbiotic relationship with the coral (which is of the Heteropsammia coral genus), this newly discovered species of hermit crab has been named Diogenes heteropsammicola. The scientists later discovered that its physiology has specially evolved to make this relationship possible. Most other hermit crabs have an asymmetrical tail which fits the usually right-handed coil of their seashell homes. However, this new hermit crab has a symmetrical tail, as the cavity of the walking coral may coil either direction. Igawa hopes to continue the research by searching for other similar species in both the present and the past. “There are many fossils of walking corals in Japan. I want to reveal the evolutionary history of the symbioses of walking corals and sipunculans and hermit crabs by observing these fossils,” she said. The findings of their research has been published in the latest issue of the PLOS ONE journal.